Priyanka Chopra turns up the HEAT on the cover of yet another magazine – view inside pics! She enjoys every bit of stardom that she has achieved but Vidya Balan said acting is still a “job” at the end of the day for her and she cannot let it dominate her personal life. The National Award-winning actor said she is a private person and does not want her popularity to disturb her or her family’s personal space. “I don’t want to live only for films. I have life beyond them. I don’t like stepping out much. I like to be in my space when I am not shooting. I don’t feel it is necessary also to make public appearances. 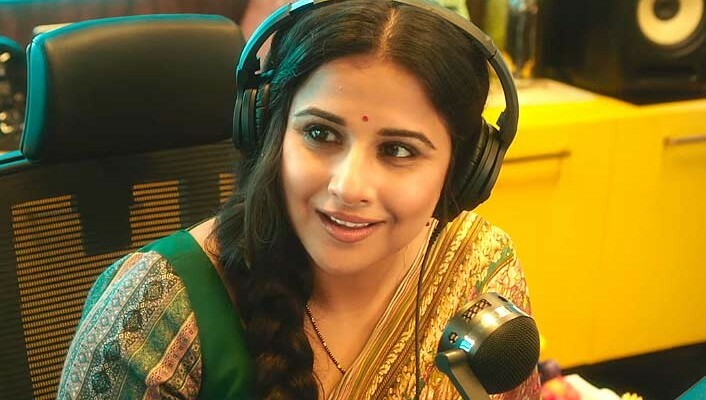 I still don’t go out on Sunday… Living life off the camera is very important for me as I use those experiences to portray my characters.” Vidya had a tough time in scoring her Bollywood breakthrough and the actor said the struggle still continues. Vidya will next be seen in Suresh Triveni’s ‘Tumhari Sulu’. Also featuring Manav Kaul and Neha Dhupia, the movie will hit the theatres on November 17. Did you know Shah Rukh Khan backed out of a Amitabh Bachchan and Dilip Kumar film at the last minute? Ae Dil Hai Mushkil and Shivaay clash, KRK audio leak and Karan Johar’s biography – Ajay Devgn talks about recent controversies!